Non-wood forest products (NWFPs) are goods of biological origin other than wood, derived from forests, other wooded land and trees outside forests. NWFPs and similar terms such as “minor”, “secondary” and “non-timber” forest products (NTFPs) have emerged as umbrella expressions for the vast array of both animal and plant products other than wood derived from forests or forest tree species. This issue focuses on “foraging”, understood as the practice of gathering uncultivated plants from the wild. It is generally recognized however that the dichotomy between “wild” and domesticated” is artificial, hence FAO has a broad interpretation of “foraging”, which moreover also includes the gathering of plants outside of forests. We open the issue with CIFOR and IRD Scientist Edmond Dounias’s piece “From Foraging to.....foraging”, which questions several misconceptions about foraging activities and explores the potential of gathering for feeding the world. In this issue’s Interview, we speak to Nora Berrahmouni, FAO Forestry Officer for dryland forests, who reminds us of the important role NWFPs play in arid zones, particularly fodder which is often forgotten in discussions on NWFPs. In our regional dispatches, Alan Pierce provides us with a fresh and innovative perspective on the motivations behind gathering in Vermont (United States); Evgeny Lepeshkin from the Russian Far East’s WWF Office opens a window into a region that thrives off gathering pine nuts and other NWFPs from the wild; and Enrico Vidale, independent researcher on the NWFP supply chain shares a case study on the commercial potential of foraging for wild mushrooms in Finland. Vidale, together with colleague Rustam Murzakhanov, also submits a piece to this issue’s “product watch” on wild liquorice in Uzbekistan. Only 12000 years ago humankind was still depending exclusively on foraging activities for daily subsistence. Today, the hunter-gatherer societies whose livelihoods still primarily depend on resources that are “taken from the wild” represent only 0,002% of the current world population. We tend to consider these persisting nomadic foragers as the very last depositories of a bygone era when humans were struggling daily to obtain food in very precarious circumstances. This way of apprehending our contemporary hunter-gatherers induces several misconceptions vis-à-vis foraging activities and the potential role they could still play in managing uncultivated resources and in feeding the world. Foraging is seen as an improbable way of tracking down resources. There is a strong belief that nature acts as a safety net in which poor and hungry people may occasionally pick something up to eat in periods of drastic food shortage. Resources in the wild are accordingly perceived as scarce and available only for small groups of people, and requiring long days of hard work to collect them. And according to the optimal foraging theory which was in vogue three decades ago, their caloric return is often seen as too low to compensate the energy mobilized to collect them. Foraging activities are perceived as belonging to the past: since it is the principal channel of subsistence for small human groups whose ways of life are about to disappear, foraging is in essence understood as an old-fashioned and anachronistic manner to exploit resources. This being said, there is no obvious need to explore foraging as a means to provide insights for the future, especially with regard to the challenging issue of feeding the fast-growing world population, which is going to approach 10 billion by 2050. It is also commonly believed that only the last nomadic hunter-gatherers forage. Foraging is thus perceived as antithetic to farming. Foraging versus farming has become a mainstream polarity, an inevitable incompatibility. Along this line, humankind had no other evolutionary choice but to shift from the former to the latter. This dichotomist and simplistic way of approaching foraging is primarily enacted by the long persisting belief that nature must be tamed and submissive. It thus ignores a vast continuum of evolutionary, yet contemporary practices which should not necessarily lead to the full domestication of food resources. In current times, diet diversification has become the motto of a modern agriculture which is nonetheless responsible for the excessive homogenization of food resources produced worldwide and of the related drop in biodiversity in agricultural landscapes; only 12 plant crops and 14 animal species ensure 98% of world’s food needs. This is in stark contrast to the approximately 7,000 plants species and several thousand animal species that have commonly been used for human nutrition and health since the Neolithic. While cohorts of agronomists and nutritionists have mobilized around the challenge of looking for ways to (re)introduce diversity in today’s agricultural systems and educate the poor on how to diversify their dietary regimes to meet their nutritional needs, common sense should incline us to look at past diets and take lessons from how these people – commonly described as poor – could maintain such diversified and rich diets that we are now trying to eagerly reinvent. Foraging activities once contributed significantly to these diversified diets and discouragement of foraging activities, often hastened by government incentives and development planners, have been the cause of impoverishment of these traditional dietary systems. Time has come to dispel the common myths on foraging. First of all, foraging has persisted among many farming societies and was not an exclusive practice of hunter-gatherers alone. Foraging was, and still is, an integrating component of farming systems, rendering the classical dichotomy between eating from the wild versus cultivating crops and herding cattle inaccurate. For instance, the edible-wild food resource (www.ediblewildfood.com) reminds us that modern agriculture considers several hundreds of plants as “weeds” yet they are in fact strategic constituents of agroecosystems and contribute significantly to local recipes as flavourings, herbs, spices, seasonings, condiments and vegetables. Foraging is not anecdotal and remains essential in the daily life of several hundreds of millions of smallholder farmers throughout the tropics. Swidden or fallow fields and gardens are fertile ground for feral forms of plants (and animals), which foster gene flows between domesticated plants and their wild parents. These flows prevent genetic bottlenecks and maintain a high diversity of usable spontaneous resources along a continuum between wild and domesticated. Agroforestry systems maintained near homestead areas — for instance home gardens and backyards — are also privileged sites for foraging in permanent components of the agroecosystem in which wild, feral and cultivated individuals are tightly intermingled for the sake of diversity. Many foraging activities among farming societies are carried out by children. Through these activities, children cover alone a significant part of their diet independently of the meals provided by their parents. In periods of food shortage, food collected by children from the wild are eaten as snacks and may ensure up to 35% of daily food consumption. All the food resources that children pick up from the bush — fruits, frogs, fish, small birds, insects and many others generally considered with disgust by adults or taboo — not only provide calories and nutrients: their harvesting is also a pathway towards education. Children are depositories of the sphere of knowledge that they transmit to each other without the intervention of adults. As such, they are not always this high-risk group that we suspect that they are: in many respects, through the control of foraging activities, they contribute to household economy and food security. However, the academic education system rarely acknowledges this “school of nature” and foraging activities. One of the major drivers for the domestication of food plants was the reduction of the thermostable compounds that they naturally contain to protect themselves from herbivores. Many food plants that are foraged from the wild require neutralization of the phytochemicals they still contain prior to their consumption. The persistence of foraging activities is pending on the preservation of local ecological knowledge and know-how in the field of food technology in order to ensure the palatability of these resources as well as the diversity of the recipes. Reviving foraging practices over resources that have been long neglected is impossible if the related expertise on how to detoxify them has been lost by lack of transmission from generation to generation. Many foraged resources are “para”-cultivated in the sense that they mobilize perennial harvesting practices aimed at managing the resource production while maintaining it in their original environment. These procedures are accompanied by social rules protecting the rights of ownership over a supposedly “wild” resource, which is cared for, protected, owned, managed, and eventually inherited as a private possession. Beyond their primary function as food, these paracultivated resources occupy the full status of a cultural good. They sometimes appear in matrimonial payments, prestige dishes and the pharmacopoeia, and they may even play a central role as ritual objects. They not only contribute to nutritional security, they also mediate relationships with the invisible world and the spirits who are seen to exert control over “natural” resources. Paracultivation of foraged resources is much more frequent than we think — it has been reported for instance for wild yams, sago and acai palm trees, honeybee and termite nests, and a few oleoproteaginous seed trees. Foraging clearly illustrates how ecological perspectives should not be separated from cultural aspects, or people’s perceptions of their resources. Q: We rarely associate forests with drylands. In fact, the role of trees in arid zones is often underappreciated in policymaking, even though trees are arguably even more important than in rainforest areas at least for lives and livelihoods. Can you explain why this and the types of NWFPs people in arid zones typically forage for? Yes, forests are not the first thing that comes to mind when we think about drylands. But forests and trees in drylands contribute significantly to rural livelihoods. Up to two billion people around the world are believed to depend on dryland forests and pastures for food and livelihoods. A study carried out in 2010 found that in Africa alone, over 320 million people depend on dryland forests and woodlands to meet many of their basic needs and up to 90% of the population in Sub-Saharan Africa relies on fuelwood and charcoal deriving from drylands for energy and cooking. In drylands, trees and forests have adapted to extreme ecological conditions and still provide essential goods and services, making dryland landscapes or what we also coll “Agro-sylvopastoral landscapes” essential. Trees and other associated species in such landscapes provide many NWFPs and other goods and services including fodder to livestock, fuelwood, medicines and tradable goods such as resins (myrrh, agar and Franckincense just to cite some examples), gums or cork. We also tend to forget about tree-, shrub- or herb-based fodder in discussions on NWFPs. In many drylands the leaves, bark and pods of trees are an important source of livestock feed, especially when grass dries up. But there is a lack of information and data on the contribution of dryland forests to fodder. FAO’s Forestry Department has acknowledged this gap and is assessing how it can address the challenge. At present, we are talking about the issue with our colleagues in the Agriculture Department, which is the first step, raising awareness about the importance of feed from forests. Trees and forests are also extremely important in drylands as they can help mitigate the effects of climate change and help people adapt to these changes. The sustained provision of goods and services such as NWFPs is increasingly important to lives and livelihoods for this reason, but this cannot be achieved without good management. For example, because of the very multipurpose nature of trees, many end up getting used for food (e.g. fruit, leaves), medicinal purposes and fodder (e.g. leaves and pods) but also cutting or charcoal making for fuelwood which can lead to overexploitation of species in the wild. ICRAF (The World Agroforestry Centre) does some very interesting work here in regard to potential domestication of certain species, even though people have differing opinions on the degree to which NWFPs should include only plants foraged from the wild or whether domesticated species should also be considered. Q: During drought, when annual crops fail, NWFPs in arid zones don’t necessarily decrease drastically as these trees have adapted to arid zones. Hence these resources play an important role in food security, as you say yourself. Can you give specific example of types of NWFPs found in drylands that play an important role in food and nutritional security? I can give the example of the Gum Arabic which is a dried exudate obtained from the stems and branches of Acacia Senegal and Acacia seyal, for instance, that are in demand both in producing countries (Africa) and internationally. Traditionally, gum Arabic is eaten by children and herders because of its nutritious value and is also used as a medicine to ease joint and back pain. Its major uses are in the food and pharmaceutical industries. Today you can find it in yogurts and coca cola, in part due to its natural qualities. Another common “leaf vegetable” species eaten across different parts of Africa and rich in minerals and in vitamins A and C include Gnetum africanum, Adansonia digitata (Baobab), Cassia obtusifolia, Moringa oleifera or the “desert date”. Even close by, Mediterranean forests provide a wide array of NWFPs including pines nuts, mushrooms, a diversity of berries and herbs which are consumed in Mediterranean countries (North Africa , south Europe, Middle East but also in the whole world). A part of this work will also involve the community-based forest enterprise development team here in the Forestry Department and the Forest and Farm Facility. The idea is to work together to enable SME development, making use of FAO’s participatory Market Analysis and Development tools. Gum Arabic, shea butter and the Baobab fruit are just some of the NWFPs that have featured in this collaboration. Q: Tell us about the Great Green Wall for the Sahara and Sahel Initiative; how do NWFPs feature in this programme? 1. Sustainable management and restoration of production systems (including degraded forests and agroforestry systems and landscapes while developing viable markets for NWFPs and sustainable livelihoods). 2. Supporting diversified production to reduce economic risk (e.g. NWFPs, agro-forestry, ecotourism). 3. Supporting forest and farmer producer organizations by setting up small and medium enterprises, using field and pastoral schools to boost sustainable rural production systems in agriculture, pastoralism and forestry. 4. Development of infrastructure for the diversified production and marketing of rural products including NWFP. 5. Diversification of economic activities, for example through rural production centers, to stimulate job creation and offer income generation activities, in particular for youth and women. For instance the Second Africa Drylands week that was held in Chad in August 2014 examined the importance of Gum Arabic in the Sahel. The meeting and high level dialogue recommended the development of appropriate frameworks to promote the sustainable production and marketing of the product as well as exchange of experience between stakeholders. In this regard, it proposed that African Union Commission (AUC) provide support to revitalize the Network of Gum Arabic and Resins in Africa (NGARA). The African Union Commission will collaborate with NGARA and other partners including FAO, AFF, ICRAF and NGOs such as SOS Sahel to make this happen. Q: Any other initiatives or projects you can tell us about involving drylands and NWFPs? Yes, FAO manages, together with the Desert Affairs Bureau of the Forest, Rangelands and Watershed Organization of the Islamic Republic of Iran, another project about the rehabilitation of forest landscapes and degraded land in Iran. Co-funded on GEF resources and government contributions, the project objective to reverse and reduce land degradation and biodiversity loss and their subsequent negative impacts on ecosystem health, goods and services through increased capacity to plan and implement participatory integrated Sustainable Land and Forest Management (SLFM) initiatives based on practical solutions addressing immediate and long term socio-economic needs while ensuring sustainable management of natural resources and sustained ecosystem services on watershed scale. This includes, among other activities, adopting and implementing defined plans including sustainable alternative livelihood options with socio-economic and environmental benefits sustaining ecosystem services. 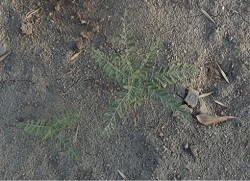 In South Khorasan, for example, rehabilitation and restoration activities (wind breaks, plantations) using useful species to produce NWFPs such as medicinal plants were initiated and alternative livelihoods and entrepreneurship initiatives are being undertaken addressing drivers of degradation and reversing degradation trends. Q: Especially in drylands, NWFPs have been found to be more economically important than timber in many cases. In fact, trees are often grown for the NWFPs they offer (in addition to their environmental benefits) and not for timber. Yet NWFPs arguably play a secondary role to timber in environmental policy-making arenas. Why do you think this is? The issues and reasons might be many, but I would cite two in particular: NWFPs are generally developed through informal markets and the range of values and benefits are not captured, reflected or acknowledged adequately, leaving gaps in the policy-making areas...Although forests and trees outside forests make significant contributions to food security, improved quality of diets and prevention of malnutrition in many parts of the world, this contribution is generally not well known, especially outside the forest sector, therefore they are rarely taken into account in food security policies. The lack of data on consumption of forest foods is equally responsible for the general under-reporting on the vital role forests and trees play in improving local diets. It is necessary to raise the awareness of policymakers on the need for accounting systems that integrate all the missing data and support the development of programmes in food and nutrition that consider the contribution of NWFPs to local, national and international consumption. 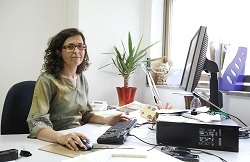 Nora Berrahmouni is the Forestry Officer for drylands at FAO. Nora has a background in forest ecology and her main area of work involves supporting, in collaboration with partners, member countries and stakeholders in sustainable management and restoration of forests and other wooded lands in drylands as a tool for climate change adaptation, prevention, combating desertification and food security. Thanks to industrial agriculture, refrigeration and global trade, most of humanity has been freed from the necessity of gathering their own food. Yet gathering persists, even in the wealthiest countries in the world, where it is often referred to as “recreation.” Yet such a term tells us little about the activity and its importance to its practitioners. I interviewed 24 American gatherers from Vermont, a rural northeastern state, and asked them to tell me their reasons for gathering. Other reasons for gathering included self-provisioning of food and medicine, gathering as a form of exercise, and gathering for income. Two-thirds of interviewees had profited from gathering at one time in their lives; twelve interviewees earned income from gathering or from imparting gathering knowledge on an annual basis. While four interviewees derived the bulk of their annual income from selling edibles or teaching classes about gathering, the other 8 earned only modest amounts of supplemental income (roughly equivalent to one or two percent of their annual income). A third of the gatherers I spoke with referred to gathering as a passion, a compulsion beyond their ken or control. Gatherers particularly enjoyed the element of surprise that is inherent to the activity. 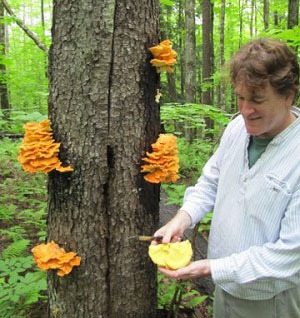 Interviewees referred to gathering as a “treasure hunt,” or “Easter egg hunt,” and revelled in the “highs” they obtained from the discovery of a lush patch of ginseng (Panax quinquefolius) or a windfall of chanterelle (Cantharellus cibarius) mushrooms. Gathering is not all passion – it is cerebral as well. It is a skill that is constantly honed. Gatherers evinced great pride in their “woods skills,” whether it was learning new species and habitats or keeping their bearings in dense foliage (one gatherer boasted that he was a “human GPS unit”). The focused attention that gathering demands induces a “flow” state in which its practitioners become totally immersed, to such an extent that outside anxieties and distractions fall away. As Csikszentmihalyi (1997) notes, flow activities relieve quotidian stresses because they demand focused attention, provide challenges, and have clear rewards. Thus is it not surprising that a number of interviewees described gathering as being critical to maintaining their mental health. Thus far, I have noted commonalities amongst the interviewed gatherers. However, there appeared to be notable differences between gatherers, differences that I attributed to habitus – a set of dispositions, values and attitudes instilled from childhood (see Bourdieu 1984). Interviewees from agrarian backgrounds primarily learned their gathering skills from friends or family members at a young age, rarely used scientific names of plants or fungi, and tended to view gathered products as economic capital. By contrast, interviewees from suburban and urban backgrounds mostly learned their gathering skills through classes or books at an older age (for many, post-college), exhibited greater familiarity with scientific names of species, and were more apt to link gathering with health issues, epicurean trends or political causes (locavore movements, transition town movements), thereby using gathered products as social or symbolic capital. Vermont is transitioning from an agrarian-based economy to a mixed economy. Interviewees from agrarian backgrounds tended to view the landscape as one to be worked – farmed, timbered, hunted, fished, gathered – and often used the term “work” to describe gathering. Interviewees from urban and suburban backgrounds tended to view the landscape as a leisure space to be “played” in (to use the term given by one gatherer). Willis and Campbell (2004) noted that an influx of ex-urban dwellers in the French countryside was transforming a working landscape into a landscape of leisure. Such a process appears to be underway in Vermont as well. Gathering intimately connects people to their local environment. Gathering provides sustenance, medicine, and on occasion, income, but also a host of psychological benefits. Yet much more work is needed to elucidate the host of cognitive and affective benefits of gathering. Such information is vital for informing land managers and politicians of the widespread ramifications of enacting gathering regulations. Alan Pierce is an independent researcher specializing in forest policy and non-timber forest products. Pierce, A. 2014. The Distance from Necessity: A Bourdieusian Analysis of Gathering Practices in Vermont. (Electronic Dissertation). (available at: https://etd.ohiolink.edu/ap/10?0::NO:10:P10_ACCESSION_NUM:antioch1389639040). Bourdieu, P. 1984. Distinction: A social critique of the judgment of taste. Cambridge, MA: Harvard University Press. Csikszentmihalyi, M. 1997. Finding flow: The psychology of engagement with everyday life. New York, NY: Basic Books. Willis, S. & H. Campbell. 2004. The chestnut economy: The praxis of neo-peasantry in rural France. Sociologia Ruralis, 44(3): 317-331. Non-timber forest products (NTFPs) provide a significant source of income for rural people in the Russian Far East (RFE). Some of the most biodiverse forest ecosystems in Russia are concentrated in the main tiger habitats found in the pine-broadleaved forests of the RFE. Pine nuts from the Korean pine tree (Pinus koraiensis) – also known in Russia as Cedar pine – are the primary NTFPs harvested in the region thanks to their high market price and abundance. Commercially, Pinus koraiensis is considered the most important of the 20 species of pines with nuts large enough to be consumed as human food. Families have been known to harvest up to 5,000 kg monthly of the pine nut in a good crop year, which can generate 25–35 000 Euros for three months of harvesting. There are also good prospects for raising income given that harvests typically reach the main markets of Europe and the Unites States of America through middlemen in China, who collect the harvest and process cones (to extract the nuts). In addition to providing much needed income, pine nut collection is also viewed as a strategy to help conserve Korean pine broadleaved mixed forests, the typical natural forest throughout most of the RFE and also home of the endangered Amur tiger (Panthera tigris altaica) by providing an alternative to lucrative activities such as logging and illegal wildlife poaching. Pine nuts are so valuable to local livelihoods that in 2007, locals in the village of Ariadnoe publicly protested against illegal logging of the Korean pine trees, organizing logging patrols. Russia has since banned logging of Korean pines and for the most part stopped the loss of good quality pine wood to China. But generally speaking, illegal logging remains rampant due to high demand for other valuable species found in Korean pine-broadleaves forests like Mongolian oak and Manchurian ash which are used to make flooring, furniture and a host of other wood products, reaching markets in the United States of America and Europe through China. To tackle the challenge, WWF is working with local people, including hunting societies and the indigenous Udege and Nanai communities, to promote legal and sustainable harvesting, processing and trade in NTFPs as an alternative to logging and poaching. As the main strategy WWF has created and implemented a so-called “conservational concession approach”: long term rights are granted on 0.7 mln hectares of Nut Harvesting Zones (NHZ) – a special category of protective forests zoned for the commercial collection of Korean pine nuts and related NTFPs, leased by the provincial government through auctions. NHZ concession owners are granted rights for forty nine years; they include indigenous peoples and cooperatives of hunters and fishermen. WWF works with these groups to develop alternative livelihood opportunities based on foraging NTFPs and to create a financially sustainable model of NTFP forestry. This model means villagers do not just forage for pine nuts. 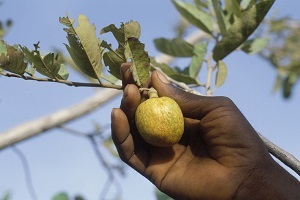 In order to better assist rural populations, WWF carried out a study to assess the market potential of NTFPs in the RFE and found that other NTFPs have commercial potential including Schisandra berries (or lemon vine), Siberian ginseng, roots and leaves, Bilberry, Chaga mushrooms, honey and King Bolete. Others include cowberry; Viburnum berries; Hawthorn berries; Rosehips berries; Actinidia (wild kiwi berries); Manchurian Hazelnut; Blue-berried Honeysuckle or Sweetberry Honeysuckle; and Manchurian walnuts. A part of WWF’s work involves identifying market links for these NTFPs, including companies in Russia and around the world that are processing, distributing, importing and exporting natural ingredients. Certification frameworks, including “tiger-friendly”, organic and sustainable “FairWild” labels are also under consideration to verify the sustainability of wild NTFP harvesting and trade. Through NHZs, an important conservation goal is reached. Now it is hoped that the costs for a legal long term scenario of preserving valuable tiger habitats through concession rights can be covered by ecologically and socially sensitive international markets (e.g. Europe and United States) via trade in unique NTFP products of the world like Korean pine nuts. Evgeny Lepeshkin is the Senior Project Coordinator for the WWF Russia Amur Branch. For more information, please contact: elepeshkin@wwf.ru. Before 1995, Finnish boletes were rarely used by the local population or for commercial use. In that year, Mr. Loreno Dalla Valle founded the company Dalla Valle Ltd. (www.dallavalle.fi), understanding before others the huge potential of Finnish forests to supply wild mushrooms (mainly boletes of the species Boletus edulis and B. pinophilus) to the main markets of south Europe (primarily Italy). The large availability of boletes and the high skills rural Finns possess in foraging wild mushrooms needed just to be organized within a business integrated in the international market. A massive campaign was undertaken to train rural pickers on the main characteristics of the target species and the commercial grading system, including the main parameters that defined the daily purchasing price for the company. In that year Valle Ltd. was able to purchase 90% of the total boletes collected in Finland, generating up to three million Euros in remote rural areas of North Karelia. In recent years, the company engages up to 21,000 commercial pickers. In 2003 Dalla Valle was nominated entrepreneur of the year thanks to his capacity to transform a forest externality into a valuable economic resource. The knowledge transfer between rural Finns and the company on the use of boletes and the capacity to erect a bridge between Finnish forests and the main market were the core aspects behind the success of Dalla Valle Ltd. Pickers, especially the unemployed and retired, have in turn perceived the company presence as a social service. Despite the economic exploitation of boletes and other wild mushrooms, commercial picking is minimal compared to home consumption (approximately 1 to 10 as ratio). The company has provided additional earning opportunities to rural communities, which in 2008 accounted for up to 15% of the annual household income. On average, the company pays pickers 5-8 €/Kg for first class boletes, while the lower quality can reach as low as the 50 euro cent/kg due to their abundance. The company supplies different typologies of products including fresh, frozen sorted boletes, and has recently mechanized a portion of work through a processing unit developed together with Sost S.r.l. (www.sost.it). From the innovation inside, the wild mushroom trade has been quite limited since it has been a mature market; nonetheless the investment in new products and automated processing lines allowed the company to consolidate its leadership in supplying boletes. The future? According to Mr. Dalla Valle, it will rely on the high skills of Finnish pickers to forage high quantities of wild mushrooms and the innovative products it will be able to sell on the market. The business can continue moreover thanks to the traditional legal system known as “everyman’s right,” which allows individuals to use forests for recreational, personal or business use free of charge. In fact, regulation in Finland also provides tax exemption for income generated by wild foraging, a condition which guarantees the success of business. Further resources: Cai, M., Pettenella, D., Vidale, E. 2011. Income generation from wild mushrooms in marginal rural areas. Forest Policy and Economics. 13: 221-226. Wild licorice in UzbekistanUzbekistan is not the first place one would associate with liquorice, but the plant plays a key role in the rural economy in the country. Nearly 93% of the forest output value (estimated at 57 million US$) has been generated by NWFP harvest, and liquorice collected in the wild covers approximately 10-15% of forest output value. Uzbek’s liquorice is highly appreciated on the global market. The glycyrrhizin content in the liquorice roots is among the highest in the world. Climatic conditions combined with the high stress the liquorice plant is subject to in its environment and the relatively long time the plants remain in the arid and semi-arid rural areas make the liquorice in high demand on the international market. National production has only recently become partially mechanized. Harvesting is permitted but the National Government, though a special committee defines a quota for each species harvested in wild to avoid resource depletion. Despite local concerns of overharvesting, the resources are underutilized in general. The Uzbek Government considers liquorice a medicinal and aromatic plant (MAP) and the available statistics on MAP wild harvesting show an increasing tendency towards wild collection, with liquorice accounting for more than half of the harvested volume. Harvesting the root involves removing the rhizome with a plow or other agricultural tools, washing and drying the roots entirely and slicing before selling in the market. Harvesting is then interrupted for at least one year to allow for more sustainable production. Several rhizomes are typically left in the soil in order to guarantee plant re-growth. The price on the international market is just over US$2/kg reflecting the cheap labour cost if we consider the work is mainly performed by hand. The price has been set up for large liquorice processors as well for the domestic market, this last still quite important in terms of volume. Wild foraging is still an important source of income in remote rural areas in Uzbekistan, but high competition from industrial production may reduce the possibility to stay in the international market. The introduction of a new management plan for liquorice harvest and new investments in liquorice cultivation may help to maintain an important income flow to rural areas. Often we just think that forests are trees. But, in fact, there’s a great complexity of plants, fungi and other organisms between the forest floor and the top of the tree canopy, many of them regularly used by humans for food, medicine or other purposes. It’s increasingly important to take these forest foods and medicines into account when coming up with forest management plans and accounting for ecosystem services. Wild indigenous fruit trees could lead to better health and nutrition across the globe, but their potential remains largely untapped as little attention has been given to their nutritional or economic value. For the first time, the WHO and CBD have formally come together to recognize the mutual dependencies of biodiversity and human health, announcing the upcoming publication of a State of Knowledge Review on Biodiversity and Health. Meat. Woodfuel. Spices. Forests provide all these and more, yet the role of these products on rural livelihoods is still coming into focus. A comparative study on the relative role of these NTFPs in supporting livelihoods in three West African countries has reaffirmed the benefits of seeing forests in a wider context. Gangs commercially picking edible fungi to sell to restaurants and markets are leaving a “trail of destruction” across ancient woodlands, such as Epping and New Forest. Epping Forest, an ancient woodland straddling the border of greater London and Essex, is one of the best fungi sites in the country, with over 1,600 different species. PEFC Spain published a recipe book on food from the forests as a part of a wider project known as Tastes of Sustainable Forests, the aim of which is to promote PEFC-certified products within the food industry. The head of the sustainable forestry association stressed clearly that all stakeholders in the forestry world “have to depict the forest from a fresh angle, from its flavours and its aromas, from the viewpoint of bio-economy and the value of all the resources it provides us with”. A new school book for indigenous “Negrito” of the Philippines aims to bring the forest back to the classroom. The Agta are one of the “Negrito” indigenous peoples with a hunter gatherer background. This richly illustrated book invites Agta children on a voyage through their ancient forest-oriented cultural heritage and through the landscape of their ancestral domain in the Sierra Madre mountain range of Luzon. Gebreslassie , T.S. & Tajebe, W.L. 2014. Resource potential of NTFPs in Dawro Zone, South Ethiopia. Journal of Biology, Agriculture and Healthcare; 2014. 4(17):169-172. 16 ref. Hirai, M. 2014. Agricultural land use, collection and sales of NTFPs in the agroforest zone in southeastern Cameroon. (Special Issue: An integrated study on NTFPs in Southeastern Cameroon: toward conservation and sustainable use of tropical forest). African Study Monographs. Supplementary Issue, 49: 169-202. |IUFRO. 2014. Research Letters. (available at: www.iufro.org/publications/iufro-research-letters/). Jadhav, M.M. & Shrivastava, P.A.M. 2014. NTFP utilization during adverse climatic conditions: a case of Saora tribes of Ganjam district, Odisha. Lifesciences Leaflets. 54: 68-77. Li Min, G. & WenXing, S. 2014. NWFPs and poverty reduction: a research review. World Forestry Research. 27 (1): 1-6. [Chinese]. MacFarland, K. 2014. Developing consumer and market research for NTFPs. Agroforestry Notes (45): 4pp. Malleson, R., Egot, M., Kshatriya, M., Marshall, E., Obeng-Okrah, K., Sunderland, T.C.H.Non Timber Forest Product income from forest landscapes of Cameroon, Ghana and Nigeria: incidental or integral contribution to sustaining rural livelihoods? International Forestry Review 16(3): 261-277. (available at: www.cifor.org/library/4758/non-timber-forest-product-income-from-forest-landscapes-of-cameroon-ghana-and-nigeria-incidental-or-integral-contribution-to-sustaining-rural-livelihoods/?_ga=1.82144022.1260321620.1390378012). Marceta, M. & Keca, L. 2014. Analysis of sale of NWFPs from Northern Serbia on the domestic and foreign markets. Baltic Forestry. 20(1):115-130. McLain, R.J., Hurley, P.T., Emery, M.R. & Poe, M.R. 2014. Gathering “wild” food in the city: rethinking the role of foraging in urban ecosystem planning and management. Local Environment: The International Journal of Justice and Sustainability. 19 (2): 220-240. Oladele, A.T., Aiyeloja, A.A. & Hycent, P.D. 2013. Forest leafy vegetables marketing and sustainable rural livelihood in Rivers State, Nigeria. Journal of Agriculture, Forestry and Social Sciences. 11(1): 139-152. Quinonez-Martinez, M., Ruan-Soto, F., Aguilar-Moreno, I.E., Garza-Ocanas, F., Lebgue-Keleng, T., Lavin-Murcio, P.A., Enriquez-Anchondo, I.D. 2014. Knowledge and use of edible mushrooms in two municipalities of the Sierrra Tarahumara, Chihuahua, Mexico. Journal of Ethnobiology and Ethnomedicine, 10 (67). Tewari, D.D. 2014. Is big business approach to managing NTFPs benign? Rising unsustainable extraction and looming policy challenges. 47 (1): 87-102. Wunder, S., Borner, J., Shivley, G. & Wyman, M. In press. Safety Nets, Gap Filling and Forests: A Global-Comparative Perspective. World Development. (available at: www.sciencedirect.com/science/article/pii/S0305750X14000710). Wunder, S., Angelsen, A. & Belcher, B. In press. Forests, Livelihoods, and Conservation: Broadening the Empirical Base. World Development (available at: www.sciencedirect.com/science/article/pii/S0305750X14000734). Euronews: Do you know: who owns mushrooms in a forest? Vancouver Sun: Healthy nutritious bugs you can eat - A solution to world hunger? To subscribe, complete the online subscription form.